Personally I think the judgement against having fine tuners on all strings is a lot of BS. I prefer four tuners built into the tailpice. I haven't looked into it much, but I've found videos of the following players using four fine tuners. Please add to the list or mention those who shouldn't be on the list. Also please mention any patterns you see regarding genre. If you are so inclined. one thing to note, is that at least two of those players use steel strings and fine tuners are necessary. Im with you though, I like the ease of being able to quickly tweak my string with the fine tuners. You'll see more fiddlers using them because they tend to use steel more often. I've got no problem with fine tuners on all four. I use them every day. I may leave a 'token' tuner on the E position of the tailpiece so that it looks like I know what I'm doing. Thanks, Ken. I was able to verify all of those on youtube. Gosh, I didn't even know Merle played fiddle And he's pretty good! I had to lift Chubby's beard to see the fine tuners, but there they were. I have no beef with fine tuners. I just don't need them, I like how my violin looks without them. Tuning my violin is the least of my worries. I do think there is a prejudice on the fine tuners. I personally could give a hoot one way or the other. 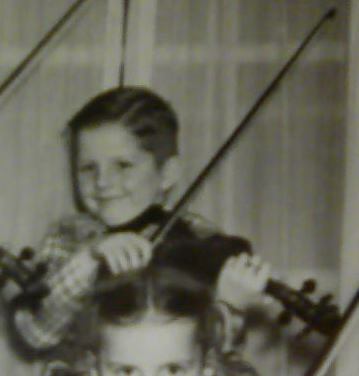 I do know that I pick the violinist that I like the most and try to do what they do. My "peeps" "favs" are not in the lists above. Ive got no beef with fine tuners... Or those that prefer them. You can add Charlie Daniels to the list. I don't recall seeing "judgement against having fine tuners on all strings", at least not on this forum. Some folks prefer to have them, some folks prefer not to. That's a matter of choice. Convenience, aesthetics, liking the sound better one way or the other, your violin happened to come with them or not, and etc are all good enough reasons. A person with more than one violin might even have them on one and not another. Seriously, everyone's violin(s) is(are) their own dang instrument(s). Each violin is yours, and you are the one who is going to play it, so you can set them up any way you feel is good, any way you like. I don't think that having a personal preference so far as fittings and etc is BS. If you like something better or it works better for you, it is not BS to follow that. It is a choice. Make your choices for yourself, for your own reasons, and enjoy them. I asked some questions and I'm thankful that I got some good answers. For my part, anyone who doesn't want to discuss the thread's topic, or doesn't want other people discussing it, should feel more than welcome to move on. @Barry Vassar Clements, yep, thanks. Especially visible about 1:42. @Feathers Thanks ... but I wasn't quite able to make out the fine tuners in the Charlie Daniels video. I personally find no problem with fine tuner's. In fact, I have "eight" fine tuner's on my, "FM,Concert Master" violin. There are four, "Knillings" in the peg box and four built in the stock (came with) "Concert Master" tailpiece. I tried using just the, "Knillings" with a regular ebony tailpiece which I ordered though, "Fiddlershop", but it shortened my after length, so I put the "Witner" t/p back on. I'm not proud. The fact is, violin is hard enough to learn to play without any problem's, so why add tuning problem's. I can see where a brand new player could get discouraged by not being able to keep the thing in tune. I could see, "four" fine tuner's all through the Charlie Daniel's video. Ha ha, Ken, you can use the geared tuners on even-numbered days, and the tailpiece tuners on odd-numbered days. That way your bridge won't lean one way or the other. @RosinedUp when you mentioned the "attitude" or what not about fine tuners. I knew exactly what you are talking about. I haven't seen it on this forum... but I do know that my violin friend partner, she has been playing for a long time, and oh yes she has a notion about fine tuners...and even the notion of the quality of the violin.. so I know what you are referring. I didn't have examples of people who use them to add to the list as the people I follow don't have them. I think the topic is a good topic for discussion. I agree with Tucson that the fine tuner decision should be a "to each his own" matter, but...in my mind, someone who uses just one fine tuner is like someone who drives a standard shift car. Some folks like their equipment to be challenging and some like their equipment to be easy to use.